- Fur Content: Dyed Chinchilllette Rex. - Fur Origin:China Available in S, M, L, XL. A chinchillette stole will steal the show. 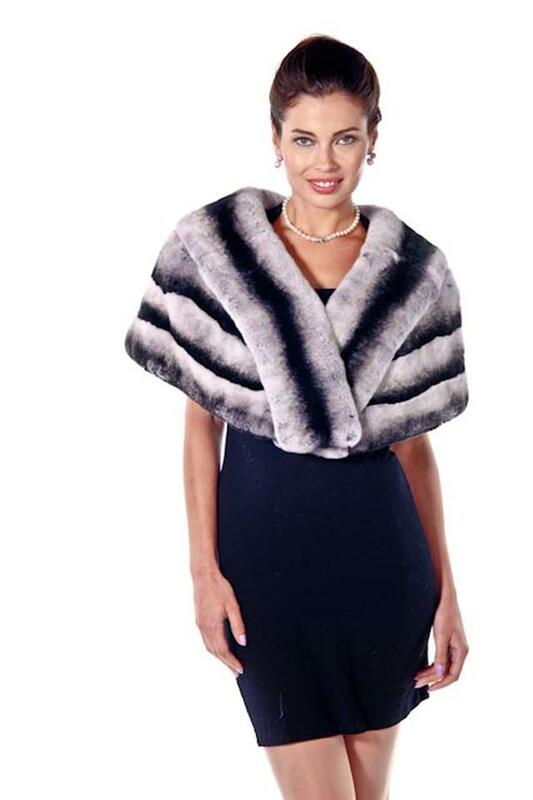 This fabulous chinchillette rex stole is magnificent over your most glamourous evening wear, as well as over a basic black dinner suit. 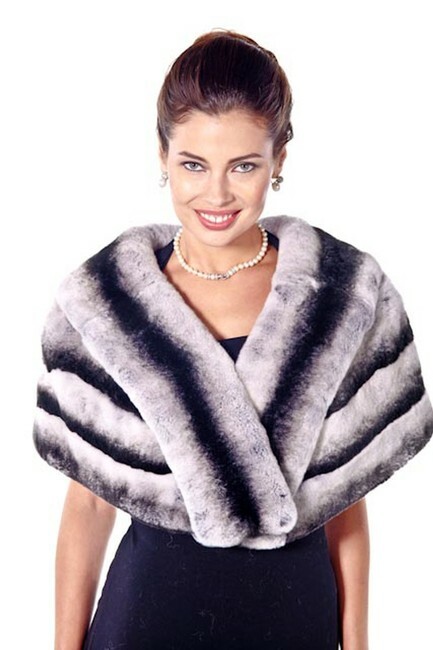 Wear this ultra soft fur stole from fall to spring to create a sensation at every event!